Infectious disease expert William Schaffner from Vanderbilt University School of Medicine told ABC News that burning the Ebola patient's engagement ring was unnecessary and "totally overboard." 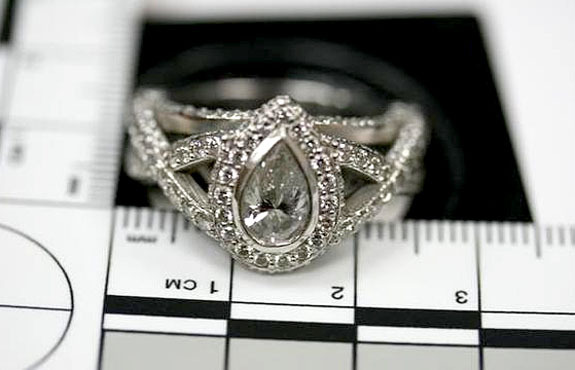 Schaffner said the engagement ring could have been easily disinfected with bleach or a similar cleaning product. "Yes. I was crushed,” she said. “It's a thing, but it has sentimental value to me." 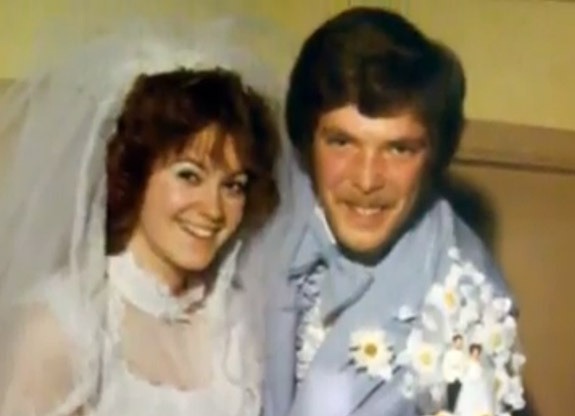 Also burned was a binder that included all of Vinson’s wedding plans. This precaution, too, may have been totally overboard because the Ebola virus is spread through close contact and bodily fluids, including blood, sweat and urine — not by touching paper. 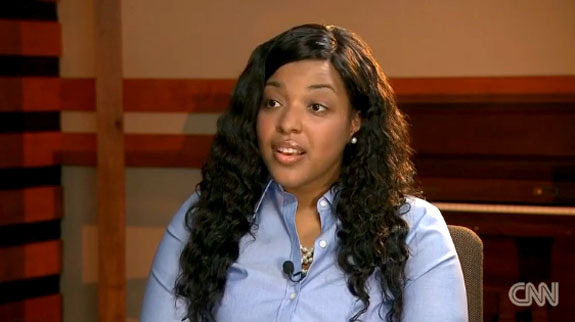 In yesterday’s blog posting, infectious disease expert William Schaffner criticized an Ebola cleanup crew for incinerating nurse Amber Vinson’s ring when a simpler and more rational solution would have been to dunk the ring in bleach or a similar cleaning product. As jewelry experts, we’d like to clarify that Schaffner's bleaching advice misses the mark. 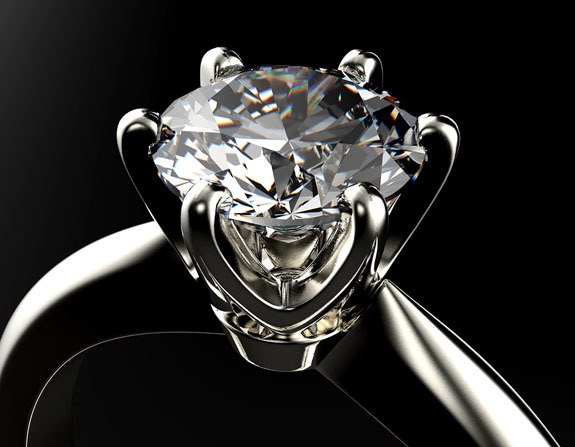 Although chlorine bleach does a great job of killing off the Ebola virus, it also — over time — wreaks havoc on ring settings, especially those made of white gold. Jewelry lovers should NEVER clean their precious possessions with chlorine bleach. A study conducted by Hoover & Strong, a leading refiner and manufacturer of precious metals, found that household bleach, chlorine and bromine (commonly found in pools and hot tubs) caused a gradual failure of karat-gold settings, with the fastest deterioration seen when jewelry was immersed in chlorine bleach and brought to a high temperature. Chlorine has the ability to dissolve the alloys found in white and yellow gold, ultimately causing stress cracks and breakage. Rings with prong-set stones carry the highest risk, because a single compromised prong could cause the loss of a very valuable gemstone. In the Hoover & Strong study, 14-karat nickel white gold faired worse than other white metals. Platinum was virtually unaffected and rhodium plating added a layer of protection to the karat gold. 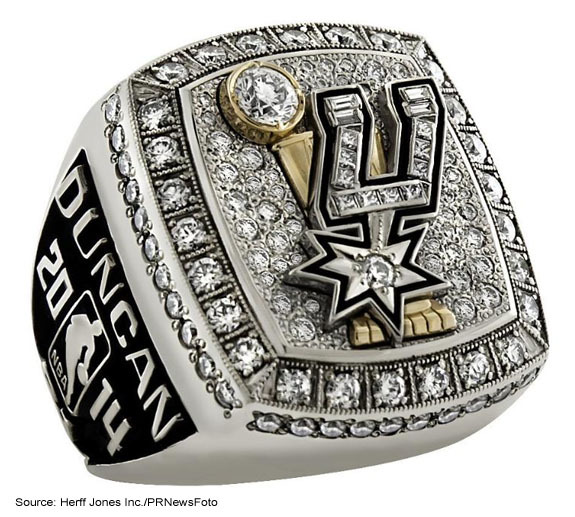 Rated from most durable to least durable were platinum, rhodium-plated 14-karat palladium white gold, 14-karat palladium white gold; rhodium-plated nickel white gold and 18-karat nickel white gold. Although bleach, chlorine and bromine have been proven to damage jewelry, we should stress that the effects are seen over an extended period of time. For instance, 14-karat nickel white gold exposed to 5% chlorine bleach and heated to 110 degrees F experienced prong failure after 21 hours. The same experiment done with 5% chlorine bleach at room temperature still yielded prong failure, but it took 120 hours of exposure. Hoover & Strong also calculated that two hours of daily hot tub use would generate a prong failure after 156 days for a chlorine-treated tub, or 192 days for a bromine-treated tub. Household detergent had no effects on the settings, according to the study. So what’s the best way to disinfect jewelry? A lot has to do with the type of stone that may be in the setting. Alcohol is a great disinfectant, but shouldn’t be used on pearls, opals, emeralds, coral or turquoise. Boiling water can kill germs and viruses, but could damage fracture-filled stones and other gems that are susceptible to cracking with drastic changes of temperature. Highly resilient diamonds, rubies and sapphires can be heated with a jeweler’s torch, effectively killing any potential contaminate. Other industry experts recommend scrubbing the jewelry with a soft-bristled toothbrush and a simple brew of warm water and liquid dish soap. If Ebola is on your mind, please note that the European Centre for Disease Prevention and Control claims that the Ebola virus is easily killed by soap, bleach, sunlight, high temperatures and drying. Cycling an item through your washing machine or dishwasher can also destroy the Ebola virus. 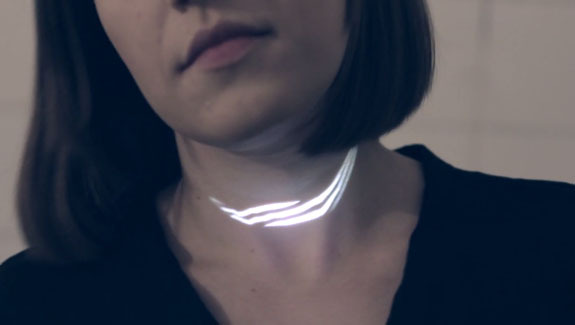 Still, the concept of “jewelry” made from pulsing and undulating light patterns beamed onto the wearer's neck via a palm-sized pico projector is fascinating. Poland-based panGenerator boldly calls NECLUMI “a probable future of jewelry.” In its current prototype form, NECLUMI is based on an iPhone app, where the user can choose from four distinctive “jewelry” patterns — Airo, Roto, Movi and Sono. Each one has the ability to react to the user’s movement and environment. For instance, Airo utilizes the smartphone’s pedometer to emit thin horizontal bands of light that vary by the user’s walking speed. Roto uses the smartphone’s compass to gauge the body’s position, and rotates the globe-like “jewelry” image accordingly. Movi is a curved-shaped graphic that bends with the body’s movement. This works off the smartphone’s accelerometer. And Sono radiates pixels of light in a graphic that looks that the sun during a full eclipse. The activity of pixels bursting from the darkened circle is dependent on the ambient sound in the location. The smartphone’s microphone is used for this function. Although the maker is confident that fast-moving improvements in the miniaturization of projection technology will make the user experience more comfortable in the future, for now the body installation of NECLUMI is a bit cumbersome. The pico projector needs to be mounted to the wearer’s chest and wired with an HDMI cord to a smartphone. The smallest pico projectors currently on the market measure 4.2 inches by 2.9 inches, have a thickness of 0.8 inches and weigh a little more than five ounces. Although panGenerator is predicting that projection-based jewelry will become a reality in a few years, the company is not quite ready to go to market with NECLUMI. It’s currently seeking “funding and collaboration” to get the project to the next level. 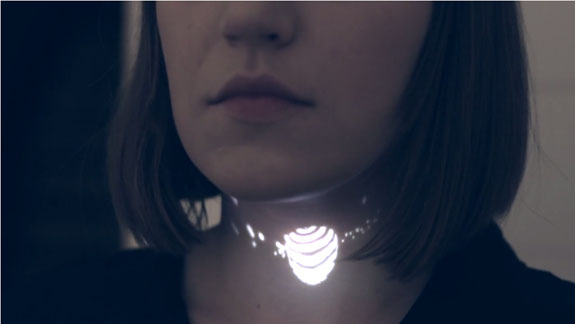 NECLUMI - a probable future of jewellery from ◥ panGenerator on Vimeo. The fourth-largest faceted blue sapphire in the world — the stunning 392-carat “Blue Belle of Asia” — smashed the world record for any sapphire sold at auction when excited bidders at Christie’s Geneva pushed the price to $17.7 million on Tuesday. 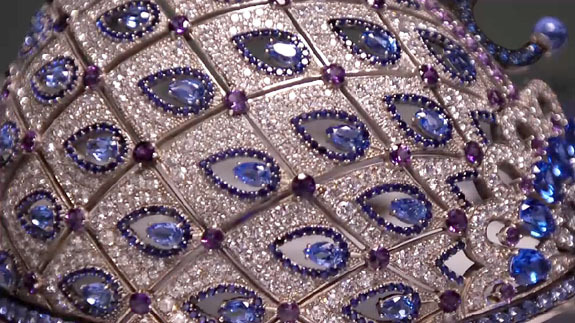 "The private collector, seated in the room, is now the new owner of the most valuable sapphire in the world," exclaimed Rahul Kadakia, International Head of Christie's Jewelry Department, at the close of the bidding. He did not reveal the identity of the collector. "We are extremely proud that the Blue Belle of Asia established a new world record for any sapphire sold at auction," he added in an official statement. 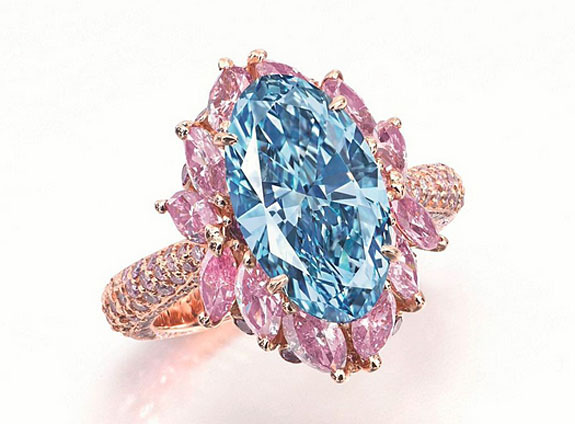 Boasting an historical provenance dating back 88 years, the cushion-cut, cornflower blue Ceylon sapphire fetched about twice its pre-sale estimate of $6.9 million to $9.9 million. Christie’s reports that the Blue Belle of Asia was discovered in 1926 at Pelmadula, Ratnapura (The City of Gems) in Ceylon (now known as Sri Lanka). 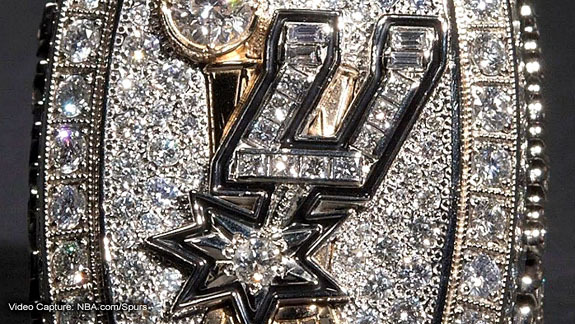 It was originally owned by famous gem and jewelry dealers O.L.M. Macan Markar & Co., based in Colombo, Sri Lanka. British automobile magnate Lord Nuffield purchased the gem in 1937 with the rumored intentions of presenting it Queen Elizabeth on her coronation day in May of that same year. The Queen never took possession of the stone and it subsequently "disappeared" into private hands. Its location remained a mystery for the next 35 years. The Blue Belle of Asia, which has "excellent clarity" and is suspended on a diamond tassel pendant, was the top performing lot of Christie’s Magnificent Jewels sale. At $44,974 per carat, the gem’s selling price was in line with the $40,962 per carat achieved by a 102-carat Ceylon sapphire sold for $4.2 million at Sotheby’s Hong Kong in April of 2014. Overall, Christie’s Geneva sale generated $154 million from 346 lots. More than 600 buyers from 30 countries registered for the auction. Welcome to Music Friday when we bring your great new songs with jewelry, gemstones or precious metals in the lyrics or title. 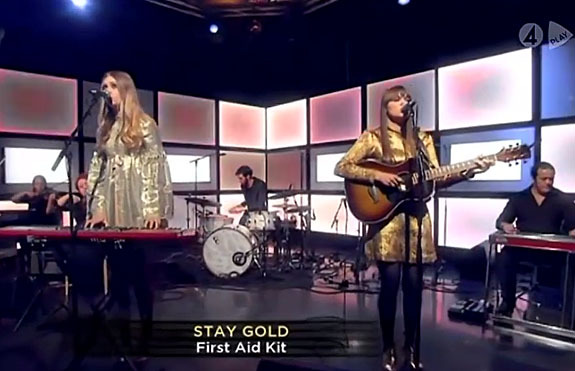 When we tuned in to Conan on Tuesday night, we were hypnotized by the harmonies of Swedish musical guest First Aid Kit performing “Stay Gold,” a song that uses “gold” as a metaphor for the innocence of youth. Essentially, they're saying that a young person's idyllic view of life — and likely their own — is often short-lived. Klara Söderberg revealed in the The Oregonian interview, "I had this collection of poetry, and I thought, 'I'll open this and see if there's anything in here that inspires me,' and I came upon the line 'Nothing gold can stay.' That was literally the first thing I saw, and it was perfect." 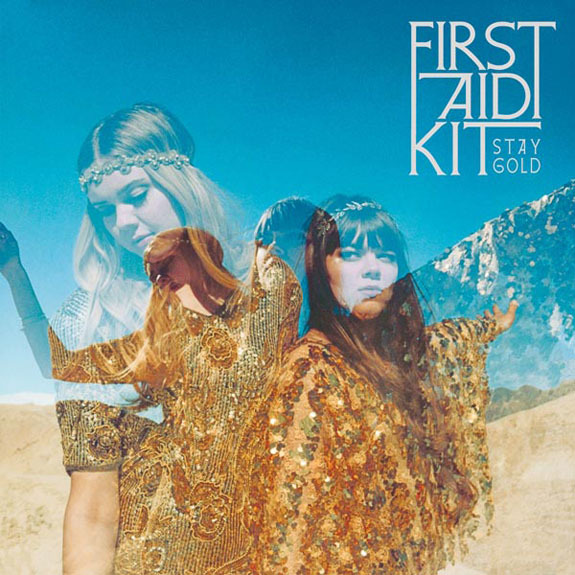 “Stay Gold” is the title song from First Aid Kit’s third studio album, which dropped in June 2014 and peaked at #23 on the U.S. Billboard 200 chart and #2 U.S. Billboard Folk Albums chart. “Stay Gold” introduces new elements to the group’s music, such as the rich backing and full sound of a 13-piece orchestra. Despite the sisters’ humble beginnings as a MySpace/YouTube indie folk phenomenon in 2007-2008, First Aid Kit may turn out to be Sweden’s hottest musical export since ABBA. Written by Klara and Johanna Söderberg. Performed by First Aid Kit. 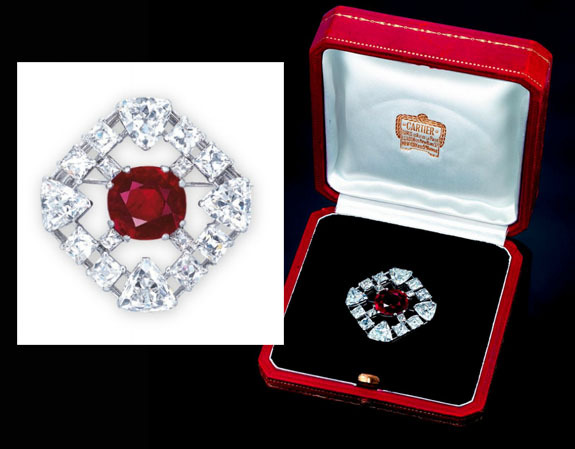 Just one day after the 392-carat “Blue Belle of Asia” sapphire set a world record when it fetched $17.3 million at Christie’s Geneva, rival Sotheby’s Geneva claimed two auction records with the sale of the 8.6-carat “Graff Ruby” for $8.6 million. 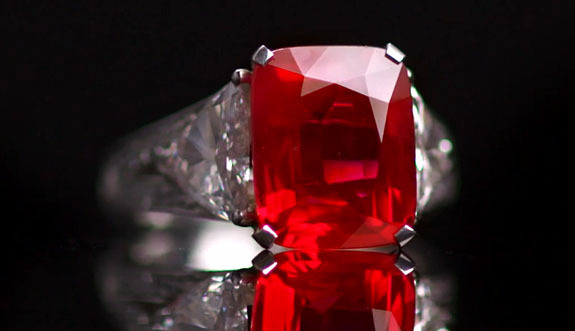 The gem, which was scooped up for a second time by its namesake, Laurence Graff, now owns auction records for the highest price ever paid for a ruby, as well as the highest price per carat for a ruby at $997,727. The selling price nearly reached the high end of Sotheby's pre-sale estimate of $6.8 million to $9 million. 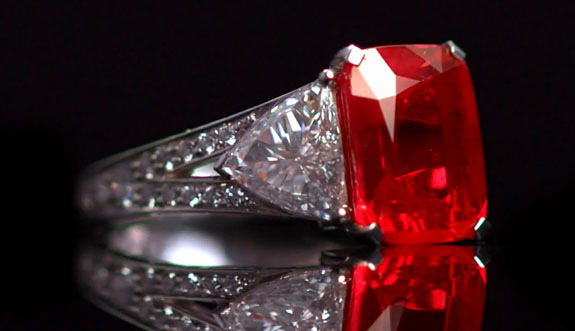 The London jeweler, who is famous for his purchases of world-class diamonds and colored gemstones, first acquired the spectacular cushion-cut “pigeon blood” ruby at an auction more than eight years ago. It’s been reported that Graff’s most recent winning bid of $8.6 million at Sotheby’s Magnificent Jewels and Noble Jewels auction was more than double what he paid for the gem originally. 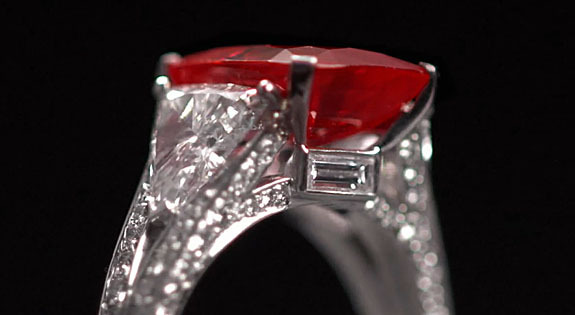 The "Graff Ruby" is set in an impressive ring designed by Graff. The ruby is centered between triangular diamond shoulders within a mounting decorated throughout with brilliant-cut diamonds. 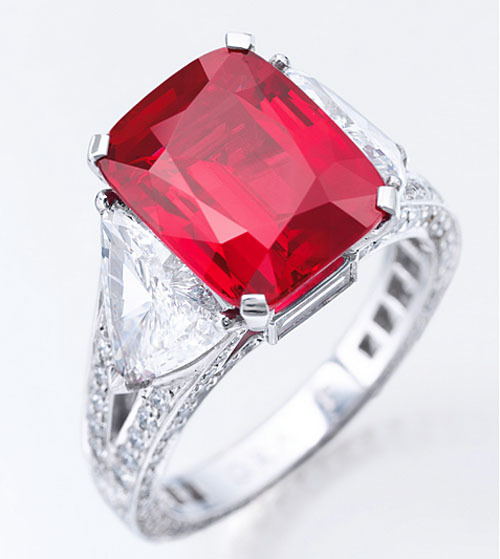 Sotheby’s offered the “Graff Ruby” with an alternative ring mounting, also designed by Graff. 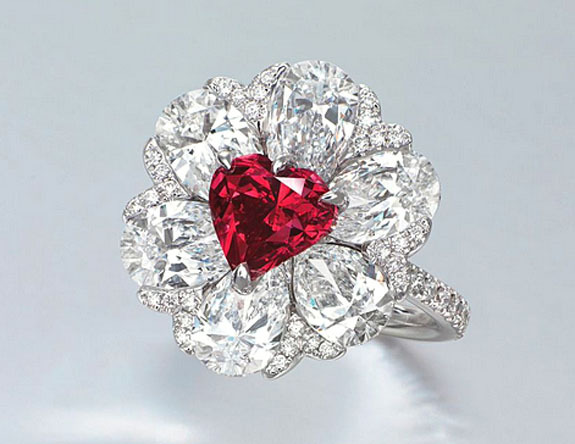 "This is the finest ruby in the world," Graff said in a Sotheby's statement. 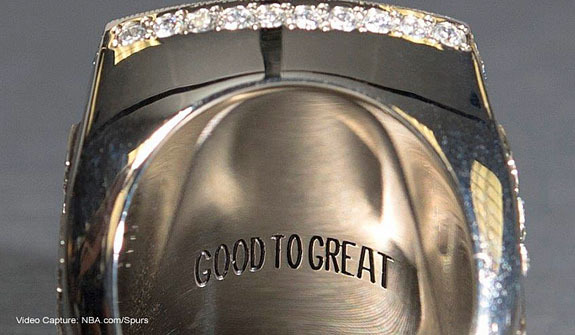 "We are very proud to have it in our possession for the second time." Until last week’s auction, the “Graff Ruby” was part of the collection of jewelry connoisseur and Greek financier Dimitri Mavrommatis. Sixteen of Mavrommatis’ jewels were among the 403 sold at Sotheby’s Geneva last Wednesday. Video captures via sothebys.com. Other images: Sotheby's. 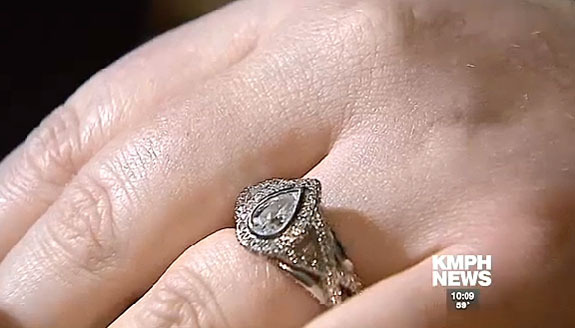 A California woman is singing the praises of an extraordinarily honest dumpster diver and the Porterville Police Department after she was miraculously reunited with the custom-made diamond ring she accidentally threw away four months ago when cleaning out her car at a gas station. Porterville, Calif., resident Treesha Flores could barely believe her eyes when local police officers returned her lost ring last Wednesday. "I am speechless, definitely speechless, but excited,” Flores told Fox-TV affiliate KMPH. “It's nice. It feels normal again, like a piece of me was missing." The elaborate diamond ring, featuring an unusual bezel-set pear-shaped center diamond, had been a gift from her husband. 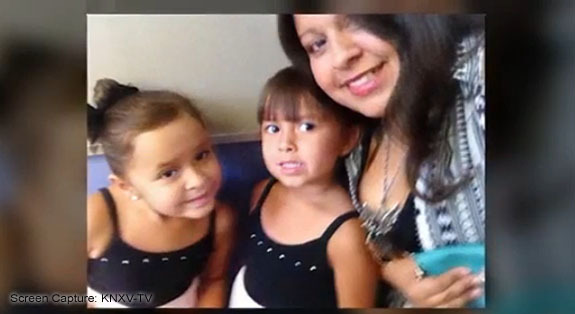 Flores first realized her diamond ring was missing after taking a trip to the San Francisco Bay Area with her 12-year-old daughter, Selicia. Flores’ daughter remembered seeing the ring in a small makeup case when they were in the hotel, but couldn’t pinpoint where or when it became misplaced. After arriving home and realizing the ring was gone, they called the hotel multiple times, but the ring didn’t turn up. 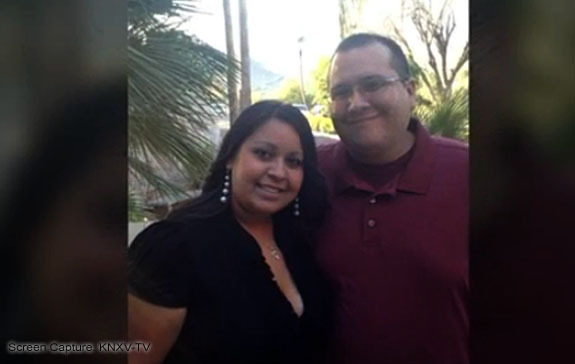 “We figured whoever found it in the hotel room, kept it,” Treesha told the Porterville Recorder. Added Selicia, “I just really thought it was my fault and I felt so bad." Actually, Treesha and Selicia had accidentally dropped the makeup case in a Chevron station trash bin on the way home from their trip. They were cleaning out their car during a fuel stop and the case got mixed in with the refuse. From the trash bin, the case ended up in a much larger dumpster, and this is where one of our heroes enters the story. 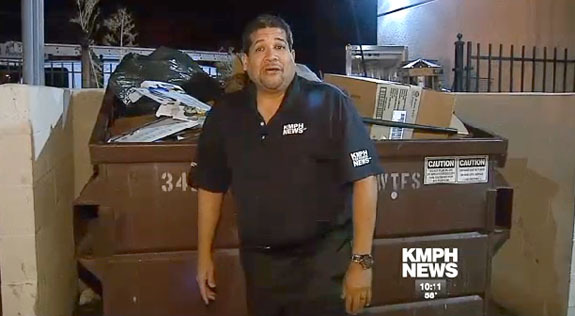 A dumpster diver, who was looking for cans, bottles and other useable items, found the case and its very valuable contents, and “did the right thing” by turning it in to the gas station’s proprietor. 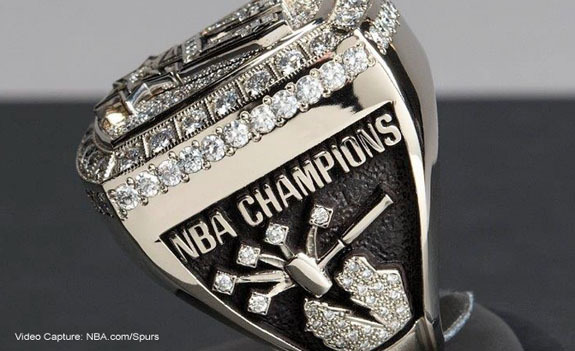 The proprietor called the local police authorities, who not only contacted the local media to publicize the fact that they possessed a missing ring, but also put a notice on the department’s Facebook page and researched the ring’s trademark. The JAVDA trademark led the police to the designer, who was able to match the ring with the owner because it was a one-of-a-kind piece. Treesha also possessed a sales slip and appraisal document that confirmed her ownership. 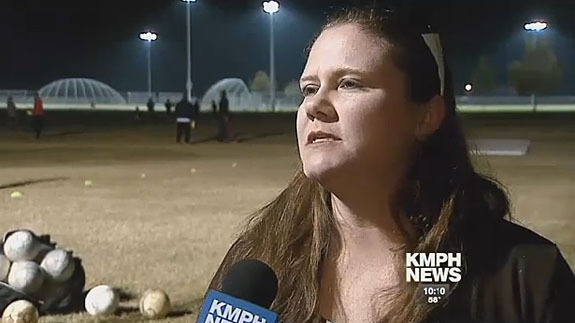 Treesha told KMPH, “The police went above and beyond in order to get this back to me. They contacted the manufacturer. 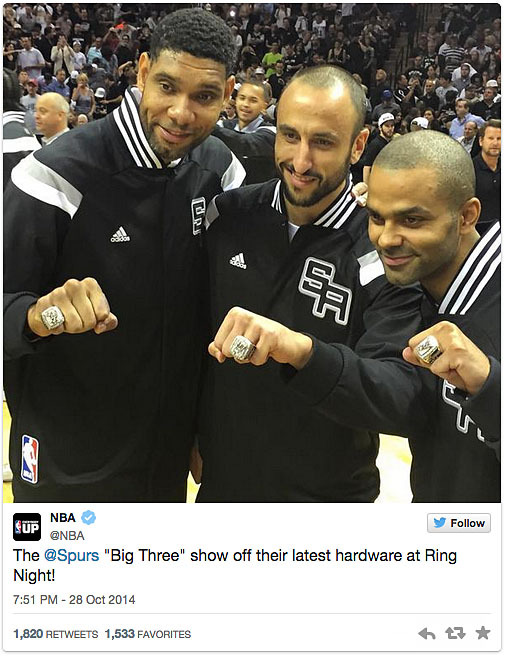 They really did more than they had to and I'm grateful for that." She had also planned to thank the man who found the ring in the dumpster and the proprietor who turned the ring in to the police. California law requires police departments to hold lost valuables for 90 days in order to give rightful owners sufficient time to claim them. 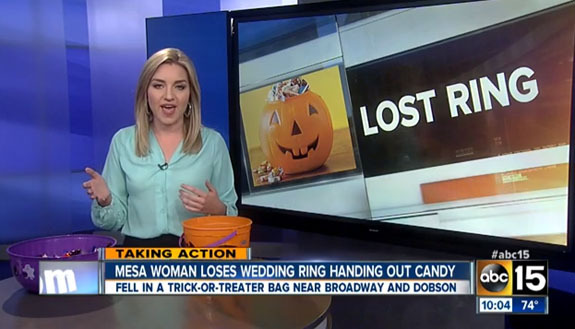 After the 90-day period, the item becomes the property of the person who found it. 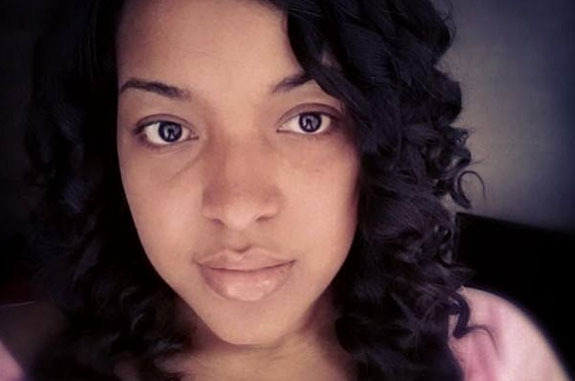 Treesha was reunited with her ring eight days before the 90-day period was set to expire. Images: Video captures via KMPH-KFRE.com; Ring closeup via Porterville Police Department. 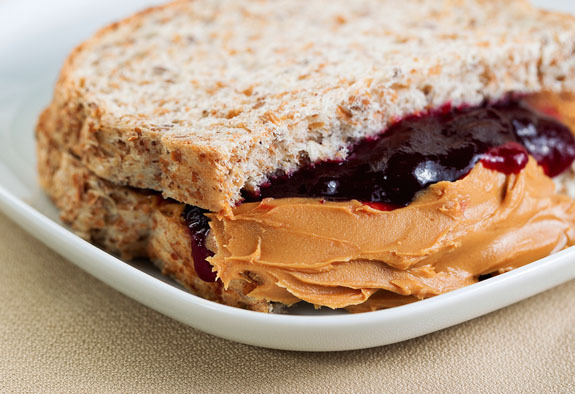 You might find this hard to believe, but a German scientist is turning ordinary peanut butter into diamonds. Yep, the delicious nutty spread that you have in your cupboard is the exact material Dan Frost, a geologist from the Bayerisches Geoinstitut, is using to produce man-made diamonds. Now, before you go out and invest in cases of Jif, Skippy or Peter Pan, it’s important to know just how Frost gets the mushy inexpensive peanut butter to transform into the world’s hardest and most coveted gemstone. The formation of natural diamonds occurs when carbon-rich material is exposed to the extreme temperatures and pressures of the Earth’s mantle about 500 miles below the surface. Temperatures at that depth are 4,000 degrees Fahrenheit and the pressure is 1.3 million times greater than the atmosphere. To recreate this environment in his lab, Frost takes the carbon-rich peanut butter and cooks it in a furnace while squeezing it with a piston until it’s at 280,000 atmospheres of pressure. The heat and pressure force the carbon atoms to rearrange themselves into denser matter. Then, the already-dense crystals are squeezed a second time using an anvil composed of gem-quality diamonds. This process generates about 1.3 million atmospheres of pressure. The result of the high-tech peanut butter torture test is a lab-created diamond suitable for industrial purposes, but not for jewelry. Frost acknowledges that the process is a slow and arduous one. 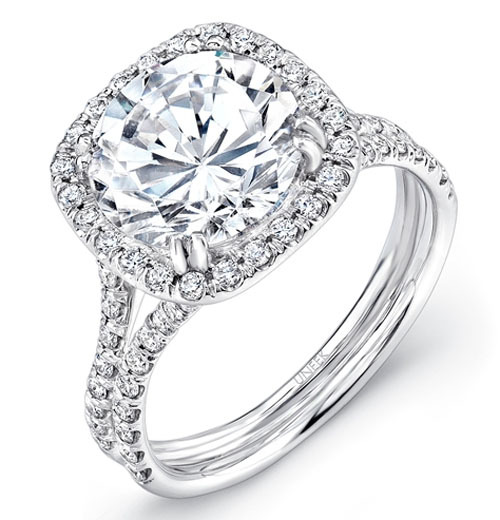 It takes weeks to produce a diamond 3mm in diameter (about 0.10 carats). Specifically, Frost believes that his peanut butter-based diamonds can be used to build better semiconductors in electronics and super-strong material for industrial applications. 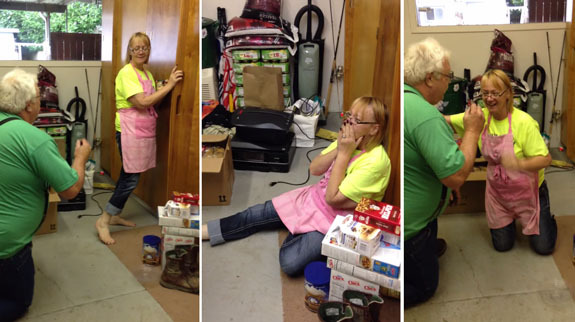 A heartwarming YouTube video showing a middle-aged woman literally floored by the sight of her long-lost engagement ring is blowing up the Internet with more than 1.1 million video views and subsequent news coverage on Inside Edition, Huffington Post, AOL, The Daily Mail and more. 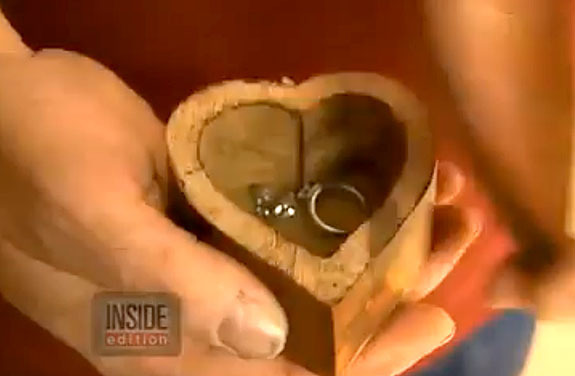 Portland, Ore., resident Kay Butler told Inside Edition that her engagement ring was the most precious thing she owned and that she was devastated when she misplaced it 15 years ago. 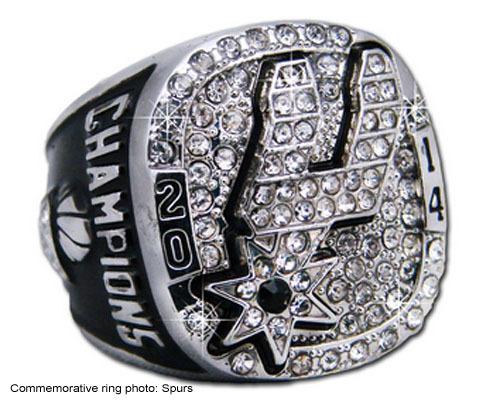 A few weeks ago, the ring turned up when Kay’s husband, Dave, was moving around some old CDs in a china cabinet. There, behind the CDs was a heart-shaped wooden box with the ring inside. 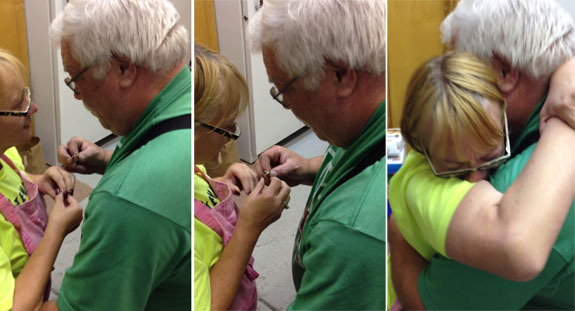 The couple’s daughter, Lacey, and her dad thought it would be a great idea if Dave surprised Kay with a marriage proposal on bended knee — just as he’d done more than 38 years ago when they were high school sweethearts. 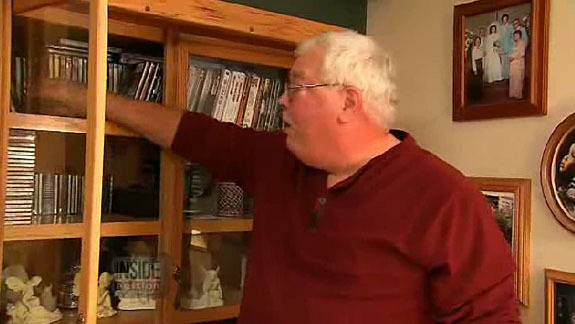 Lacey told Inside Edition, "I looked at him and I said, 'Dad, you got to do this right.' He was like, 'I know, come up with something good.' I was like, 'You just got to propose again.'" Dave agreed. Kay and Dave share a tender embrace and then the emotional bride excitedly tries on the ring she thought was gone forever. “And it fits!” she exclaimed as she slipped it on. 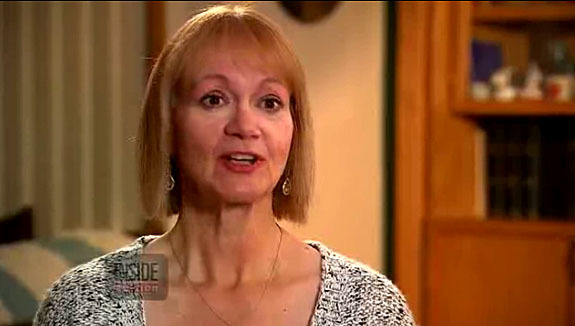 Lacey told Inside Edition that her mom likes to put her valuables in a “safe place,” but the safe place isn’t always in the same spot. When the ring was lost 15 years ago, Kay said that she "tore the place apart" in an attempt to find it. 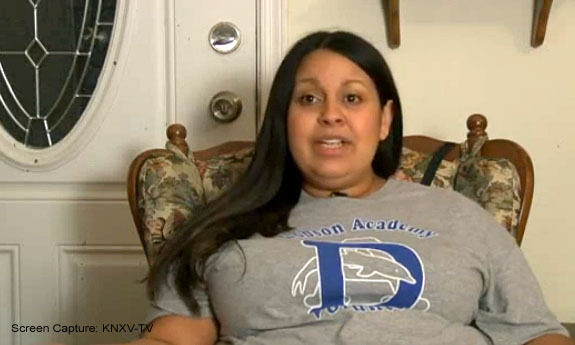 She recruited her kids and her friends to assist, but they all came up empty. Welcome to Music Friday when we bring you spectacular songs with jewelry, gemstones or precious metals in the lyrics or title. Today’s gem of a song is “A Woman’s Worth” by the multitalented Alicia Keys. Keys was watching TV at a friend’s house during Thanksgiving when the Loreal commercial sparked an idea. “There was this one commercial that said, 'Because I'm worth it.' And you know what? 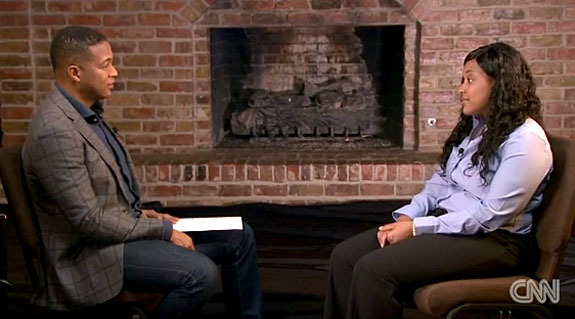 I AM worth it," she exclaimed during the webchat. And, hence, a song was born. Once released, this song about self-worth and self-esteem met with critical acclaim. “A Woman’s Worth” won an NAACP Image Award for Outstanding Song in 2002 and was nominated for both Best R&B Video and Best Cinematography at the 2002 MTV Video Music Awards. It charted in 15 countries and peaked at #7 on the U.S. Billboard Hot 100 chart. Keys would go on to perform the song at the 2002 Grammy Awards ceremony. Keys has sold more than 65 million records worldwide and was named one of the 100 Greatest Artists of All Time by VH1 in 2010. Billboard magazine named her the top R&B Songs Artist of the 2000s decade. Check out Keys’ awesome live performance of “A Woman’s Worth.” The lyrics are below if you’d like to sing along. A 9.75-carat blue diamond from the estate of Rachel “Bunny” Mellon sold for an extraordinary $32.6 million — or $3.3 million per carat — at Sotheby’s New York on Thursday, shattering two auction records. 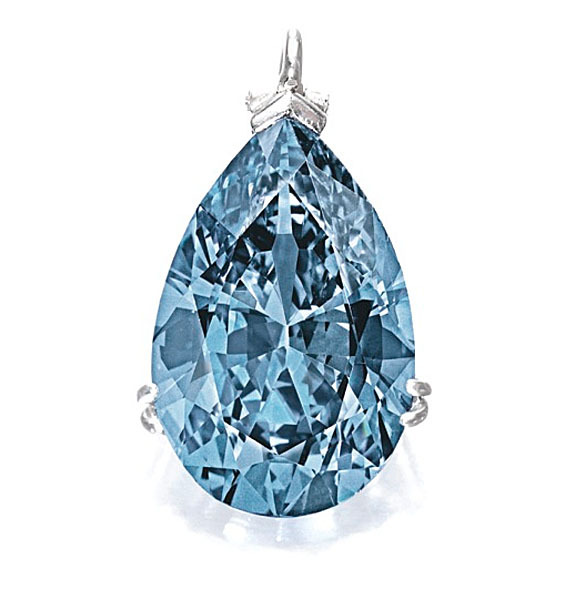 The fancy vivid blue pear-shaped gem, which was purchased by a Hong Kong private collector and promptly named “The Zoe Diamond,” now holds the auction records for the highest price ever paid for a blue diamond, and the highest price-per-carat paid for ANY diamond. 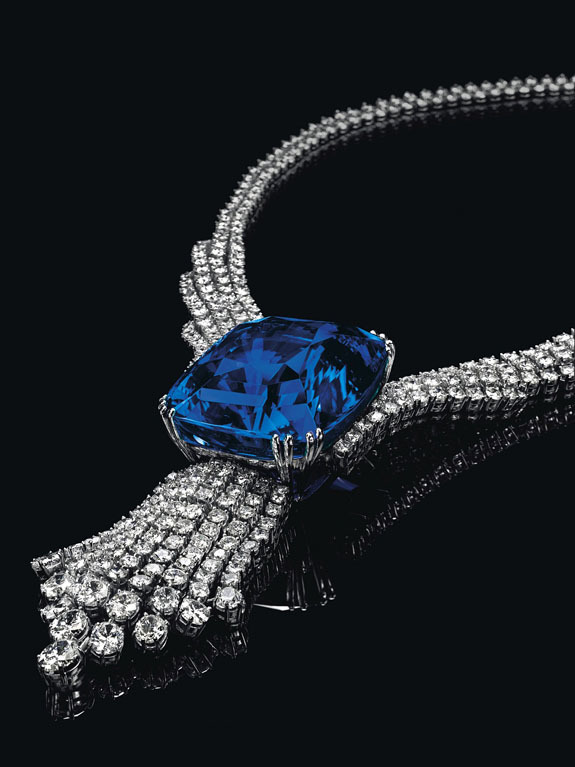 Sotheby’s reported that seven suitors competed for the blue diamond in a bidding war that lasted 20 minutes. 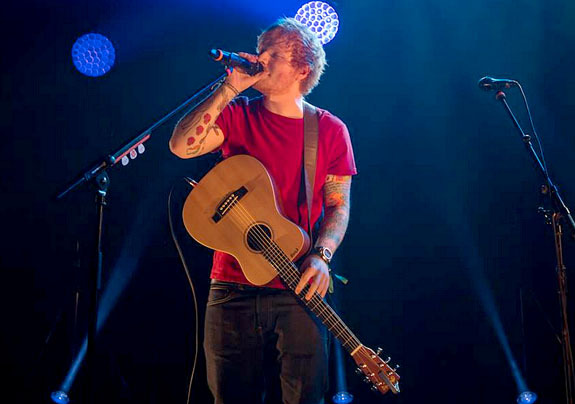 Ultimately, the selling price more than doubled the pre-sale high estimate of $15 million. 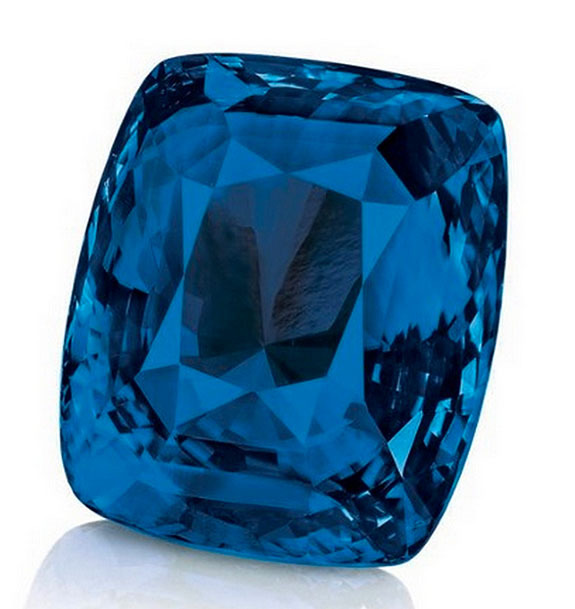 The record for the highest price ever paid for a blue diamond had been held since December 2008 by the 31-carat Wittelsbach Diamond, which was sold for $24.3 million at Christie’s London. The price-per-carat record for any diamond had been held since November 2013 by an unnamed 14.82-carat fancy vivid orange diamond, which sold for $2.4 million per carat at Christie’s Geneva. Gary Schuler, head of Sotheby’s Jewelry Department in New York, said that he knew from the moment he first saw the diamond that it would be one of the most important stones he would ever present at auction. “Mrs. Mellon’s diamond absolutely deserves the place in the record books that it achieved tonight,” he said in a statement. The stone, which received a VVS2 clarity grade from the Gemological Institute of America, was the most notable item from a much larger collection of jewels and valuables from Mellon's estate that were auctioned by Sotheby’s. “Bunny” Mellon was the widow of philanthropist and horse breeder Paul Mellon, as well as the heiress to the Listerine fortune. 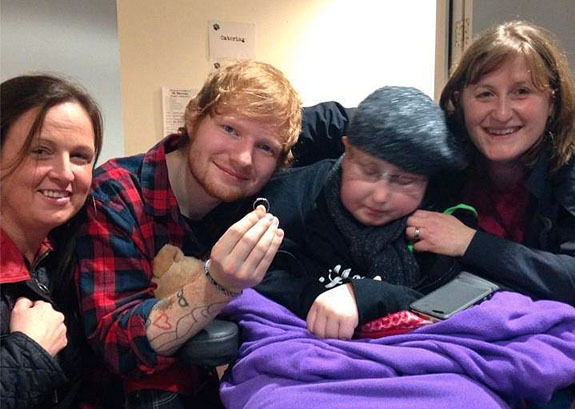 She passed away in March of 2014 at the age of 103. A lavishly adorned female mummy, who archaeologists are affectionately calling “Lady of the Jewels,” was unearthed by a Spanish research team at the site of Pharaoh Thutmosis III’s Temple on the west bank of the river Nile near Luxor, Egypt. The stylish woman lived 4,000 years ago during the time of Egypt’s Middle Kingdom (2000 BC to 1700 BC) and was likely an aristocrat. Although the mummy and sarcophagus were badly damaged, according to Discovery.com, the jewelry remained largely intact. Among the items she was wearing were a large, shell-shaped golden pendant weighing 20 grams, a gold-plated necklace inlaid with lapis lazuli, two twisted-wire golden bracelets and two silver anklets. The silver items are the only ones that showed deterioration after 4,000 years underground. The gold and gem items looked virtually new. 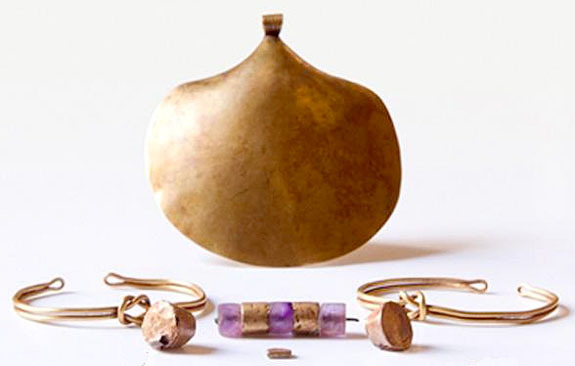 "She still wore the marvelous jewelry that was attached during the process of mummification," Thutmosis III Temple Project director Myriam Seco said in a statement. "These spectacular findings confirm that an elite necropolis is located under the mortuary temple of Thutmosis III. Wealthy and important individuals of the Middle Kingdom and their families were buried there." According researchers at the Thutmosis III Temple Project, a collaboration between Egypt’s Supreme Council of Antiquities (SCA) and the Academy of Fine Arts in Seville, Spain, the woman was likely in her 30s when she was entombed. Archaeologists expected that the tomb and its valuable contents would have been plundered by tomb robbers centuries ago, but this wooden sarcophagus remained sealed and untouched. It turns out that robbers couldn’t get to it because it had been crushed and buried under the massive stones of the tomb’s collapsed roof. Thutmosis III lived from 1490 BC to 1436 BC and is sometimes referred to as the Napoleon of Ancient Egypt. He ruled for 40 years during a prosperous time of Egypt’s history. The excavation, restoration and conservation of his temple began in 2008 and is scheduled to end in early 2015.